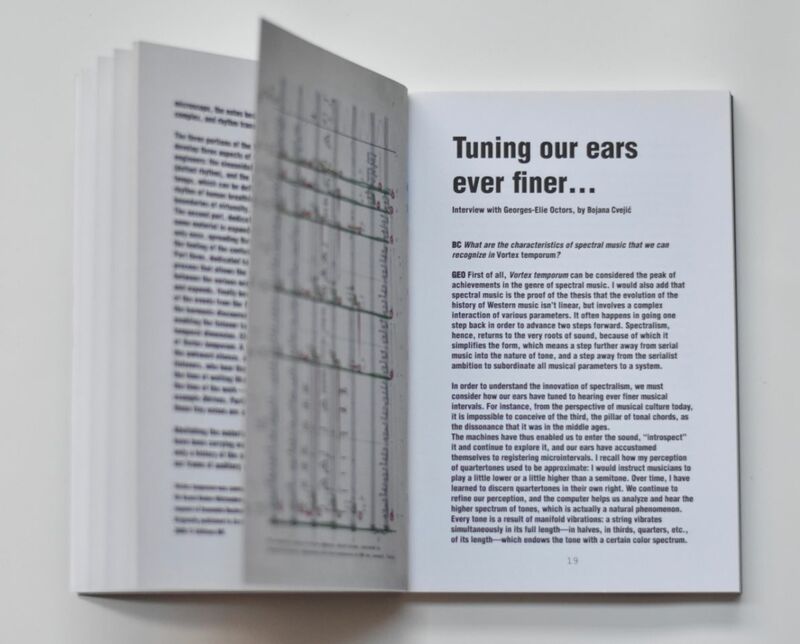 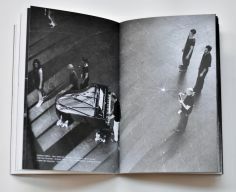 This booklet is of an untimely date: it was written and produced amidst the process of making the performance Vortex Temporum, two months before the premiere. Hence, rather than attempting to interpret an unfinished work, its aim is to zoom into the creation of a piece after two two-month working periods between September 2012 and July 2013, during which the course was firmly set, and out of which a choreography now begins to loom. 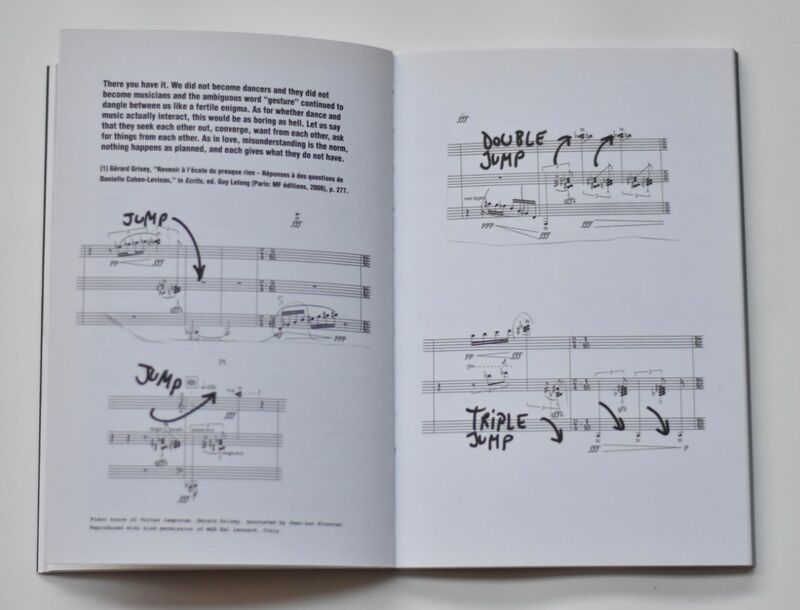 At the same time, the moment is opportune to renew the tradition of generous program notes, which enable an audience to further engage with the work. 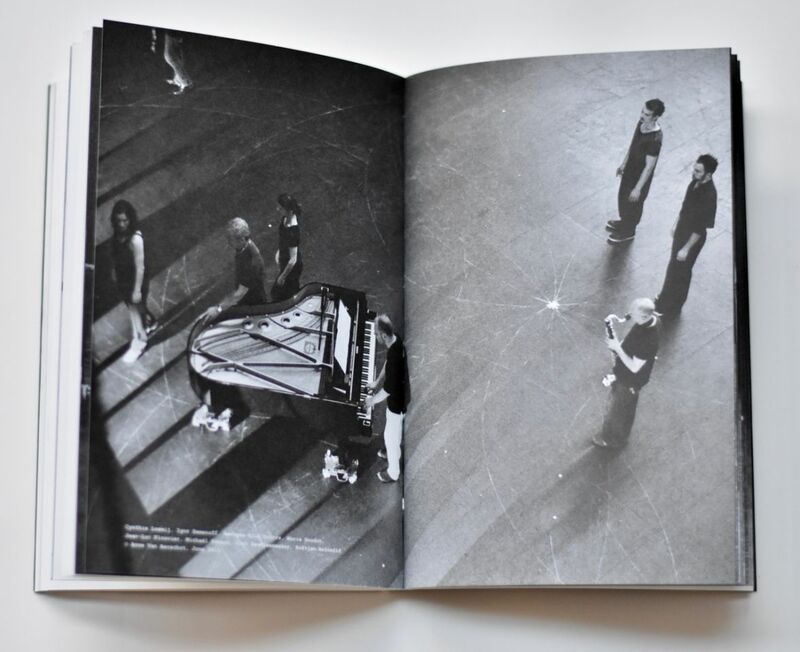 This booklet is therefore an attempt to unfold the multiple voices that make up the creation of this performance: De Keersmaeker, whose interview sets out the poetical ideas and construction principles that guide the process; Georges-Elie Octors, the conductor of Ictus Ensemble, who, besides conducting Vortex, taught the dancers to analyze Grisey’s music; Jean-Luc Plouvier, a pianist and one of the artistic leaders of Ictus Ensemble, whose various approaches/perspectives and roles are discussed; and the dancers, interviewed in the middle of the creation process. 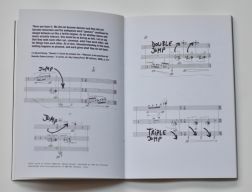 Additionally unfolding some of the performance’s elemental materials, like notes from Grisey’s reflections on musical time or from St. Augustine’s or Henri Bergson’s philosophical conceptions of time, this publication is a notebook from the making-of, a document of the ideas and techniques in their process of becoming, and ultimately producing Vortex Temporum.